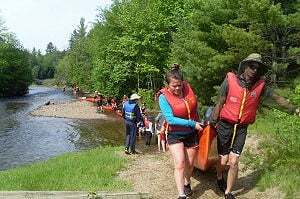 The UGDSB is unique in offering high school programs for students wishing to do a full semester off-site at an outdoor education centre. These programs teach enhanced leadership experiences not offered by the conventional classroom setting. For more information, visit the CELP website. 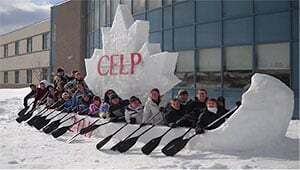 Norwell CELP is a 4-credit program offered to 24 grade 10 students at Norwell DSS during the winter semester. Students attend school at a wilderness site that serves as their classroom. Students develop their leadership and advocacy skills through active participation in extended wilderness trips. Students also work closely within their community on significant community-based environmental projects. 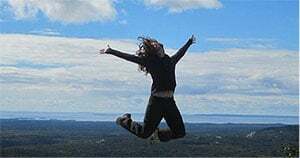 This is a leading edge program that helps create action-orientated environmental stewards with the confidence and knowledge to make a difference while at the same time fulfilling all curriculum expectations. For more information, visit the Norwell CELP website. The da Vinci Arts & Science Environmental Leadership Program is a full semester grade 11 program that ties in science and the arts in a natural setting nestled amongst hiking trails, forests and ponds of the Arboretum at the University of Guelph. Students develop their leadership and interpersonal skills while experiencing a five-day wilderness canoe trip, leading an Eco Artist Elementary program, participating in various University Science labs, and creating their own art show. Throughout the program, current environmental issues and a focus on sustainable practices are emphasized. For more information, visit the DaVinci website. Founded in 2005 by Mike Elrick, Headwaters is a leadership program with a community and environmental focus that is offered to grade 12 students. While in an experiential setting for a full semester, students further their global, local and self-awareness through various trips and real life experiences beyond the typical classroom setting. The Headwaters program is strongly oriented around energy awareness, sustainable solutions and expanding students’ knowledge of environmental consequences due to the actions of humankind. For more information, visit the Headwaters website.